This was the cake my office got for my birthday. 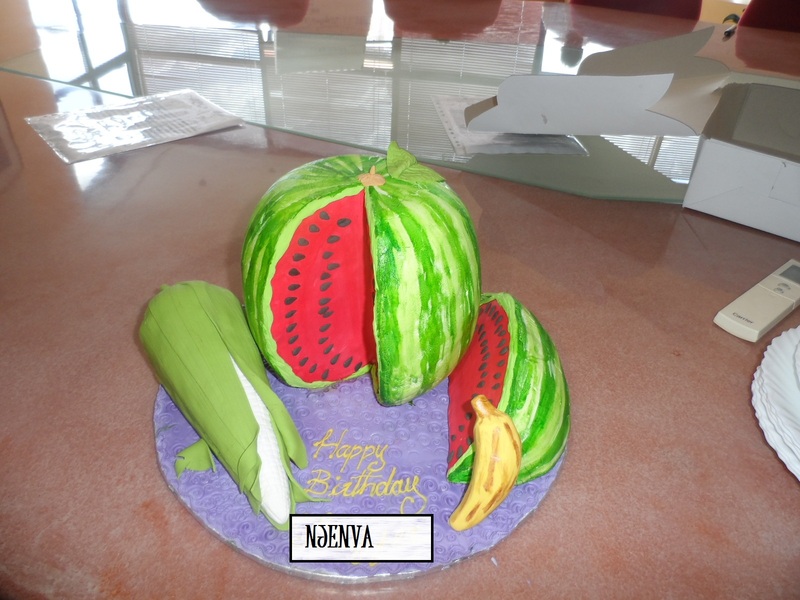 The water melon was a fruit cake and the mazie cob was a vanilla tutti fruiti cake. It looked amazing. The taste? Bleh….. The icing fell off when being cut and the fun fell with it. The fruit cake wasn’t too fresh but the tutti fruiti was fresh. And it was amazing to behold. People were so excited and they almost got upset that I was cutting the cake. And the cake was delivered an hour late. 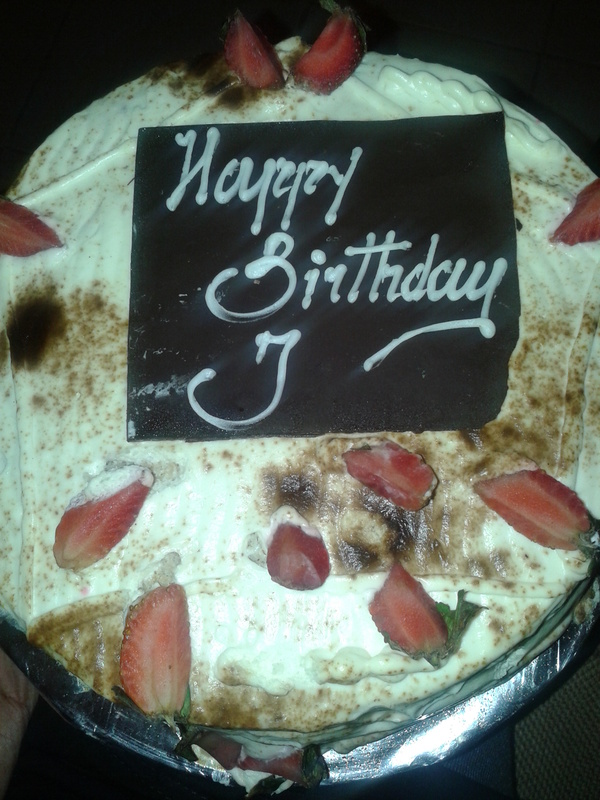 Hipilicious got me this cake from Valentine Cake House. Who used to do great cakes way back then. Not any more. There was no coffee in that cake. The only coffee that was there looked like instant coffee on the cream and it made the cake look dirty. I wished for the tiramisu cake from The Mug. In Skinny’s words, ‘This cake tastes like salt‘. It was a BAD cake. Dry and tastless. EEEWWWW. And who puts strawberries on a tiramisu? What are you trying to hide? Mrs. Adrian was pleasantly surprised by this cake. 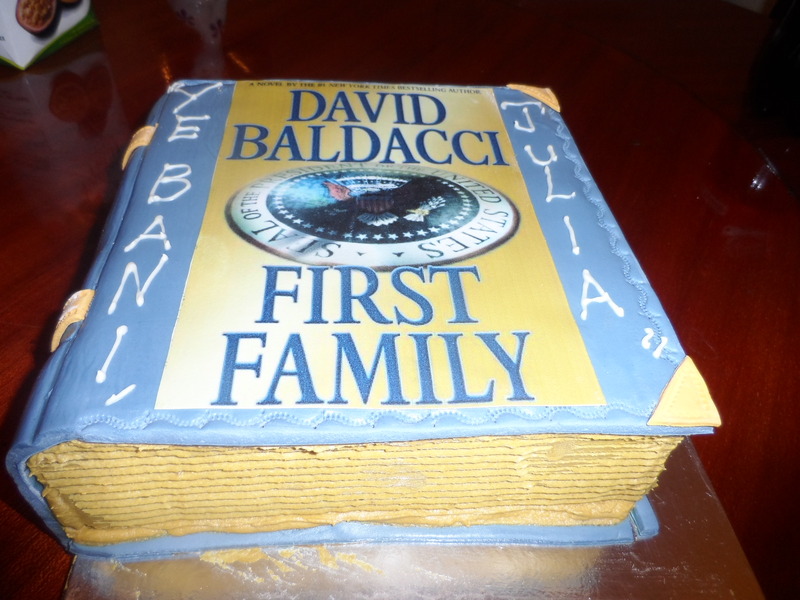 The cake was a replica of one of her favourite books. They got the book to a T and the taste was amazing. We all loved the cake, it looked great and the icing didn’t come off while the cake was being cut. In my opinion, they provided the best cake. And their service, top notch!